All are Invited: Audubon Bird Town Bird Walks are open to anyone interested in learning more about the birds that frequent the park. These walks are for beginning birders and experienced birders as well. All are welcome. Wear comfortable footwear and clothing. Bring binoculars if you have them! 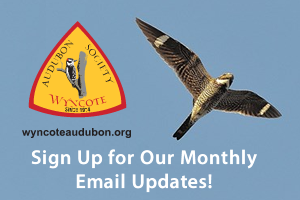 Volunteers from Wyncote Audubon lead Audubon Bird Town Bird Walks. 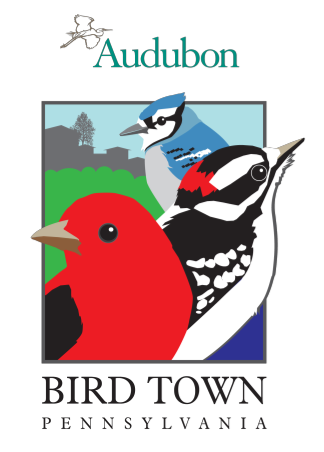 Directions: All Abington Audubon Bird Town Bird Walks take place on the third Tuesday of each month August through June and the first Sundays of September, October, May and June. Each are scheduled for 8:00 AM to 10:30 AM at Lorimer Park. Walks will start at EITHER the main parking lot at 183 Moredon Road, Huntingdon Valley, PA 19006 OR at the parking lot access to the Pennypack Trail located at Terwood and Welsh Roads.